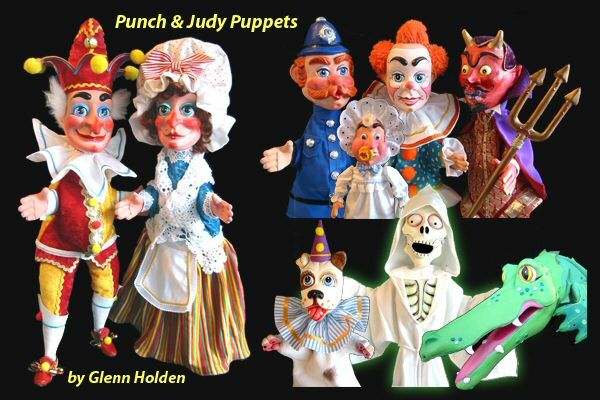 Punch & Judy Glove Puppets by Glenn Holden. Mr Punch measures 25 inches from shoes to top of hat. Heads, hands, legs and feet are in latex. The puppets are painted in acrylics and costumed in high quality fabrics. Each costume is lined and has a hanging hook.